All delivery times stated on the site base on working days, which are Monday to Friday. Our standard delivery UK Mainland is £4.99+VAT. We offer free local deliveries to our local Account Customers and local Online Customers. Free delivery is provided in all SL,KT,TW,UB,SM postcodes and some of NW,W,SW, RG and GU postcodes. You can check your delivery charge by entering your postcode in the cart (after adding our product to the basket/cart). Delivery can be to any address as long the address at which your payment card is registered is also present on your order. Avenue Group Ltd typically only deliver to the United Kingdom (the Channel Islands and, the Isle of Man, the Scottish islands, EU and non EU locations will incur additional charges). Deliveries to Northern Ireland may incur an extra charge based on the weight and size of the item. All deliveries must be signed for (except items sent by post and which are small enough to be put through your letterbox). Please make sure you keep the receipt enclosed with your goods. All delivery timescales are subject to product and delivery slot availability. Small parcels may be delivered via Royal Mail. Delivery is typically 2 to 3 working day subject to availability. However, delivery may take up to five working days or more on more bespoke items or during busy periods. Please contact us if you require an expedited delivery. NB: Orders placed after 10am on a Friday may take an additional working day due to office processing hours. Office, technical and customer service hours are Monday to Friday 8am to 5pm. Avenue Group Ltd will select the most appropriate carrier for your goods. This means your delivery may arrive in more than one batch to ensure your order is transported in the best possible way. Whilst every reasonable effort shall be made to keep to any delivery date, time of delivery shall not be of the essence and Avenue Group Ltd shall not be liable for any losses, costs, damages or expenses incurred by the customer or any other person or company arising directly or indirectly out of any failure to meet any estimated delivery date. The risk in the goods shall pass from the company to the customer upon delivery of such goods to the customer. Deliveries will be attempted at your chosen address on the following day if the first delivery was unsuccessful at a charge of £3.00. If your delivery was unsuccessful on the second attempt then a card will be left at your address allowing you to contact the delivery service depot and arrange a collection or request another delivery. Requesting a further delivery will cost £3.00 if you do not wish to collect. If you can not collect your goods within 3 days or have not paid for the re-delivery then any goods will be returned to us. All returned orders will be refunded via the method of payment; you will incur a £9.99 charge for the attempted deliveries. Avenue Group Ltd shall have no liability to you for any failure to deliver goods you have ordered or any delay in doing so or for any damage or defect to goods delivered that is caused by any event or circumstance beyond its reasonable control. 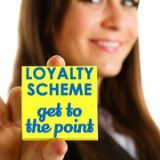 If you need to return a product purchased from Avenue-Online then you have 28 working days to do so. The returned goods must be in a resalable state and any goods or accessories that accompany the returned product must also come back to us. You are able to cancel your order prior to shipping with no cost penalty being incurred and full credit of your account if monies have already been taken. You can cancel an order by following the links on Avenue Online website, or by phoning us on 01753 681154. 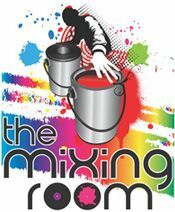 Please note that products made specially to order in tinted or special colours in our mixing room cannot be returned and no refunds will be offered. Mix thoroughly and check shade before use. No responsibility for a colour complaint will be accepted after application. 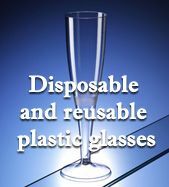 We do not guarantee products are fit for any particular purpose or intended use by the buyer and it is for the buyer to satisfy itself that the products are so fit prior to use. Always test the product on a small, inconspicuous area and leave to dry fully, to satisfy yourself the finished colour meets your expectations before painting in full. Please note that wet paint can appear different to the dried product. Please note colour reproduction is limited by the technology used to deliver web pages and by the colour representation of your monitor and computer. We have made every effort to display as accurately as possible the colours of our products but we cannot guarantee the colour you see on your monitor will accurately reflect the colour of the delivered product.